Our avocados are grown then carefully tested for maturity before we hand-pick them from the orchards. Mature avocado fruit remains hard on the tree until it is harvested. This is one of nature’s small miracles that allows us to harvest the fruit, sort it and get it to market at optimal eating quality. The Westfalia Fruit Group is seen as a world leader in applied research dealing with ​subtropical crops, with specific focus on avocados. Westfalia Technological Services (WTS), the research division of Westfalia Fruit, is the largest privately-funded subtropical fruit research organisation in the world. The Westfalia Group’s packhouses are among the best equipped in the world. 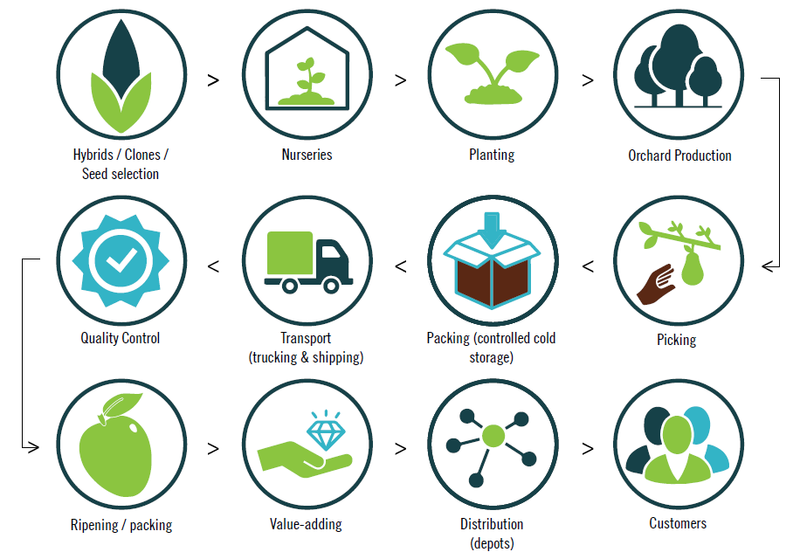 Many of the operational practices were specifically developed for the unique conditions and logistic challenges of trading in sensitive fruit such as avocados. Our dedicated marketing operations are located in the UK, Europe, North America, Latin America and southern Africa and are highly experienced in managing the entire sales process with customers, from sourcing the fruit to ensuring its safe transport via the cold-chain to its final destination.